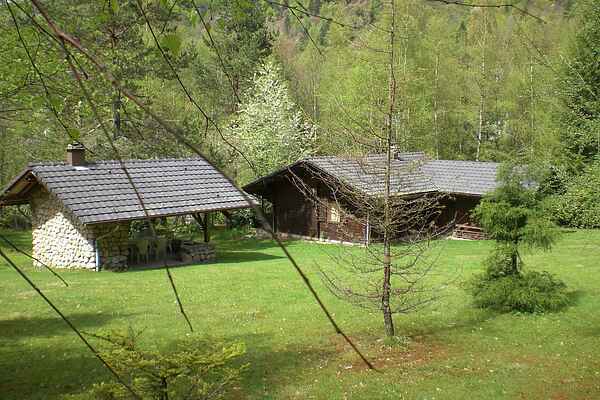 Quietly situated detached chalet in the gorgeous Parc Naturel des Ballons des Vosges. Just outside the village of La Bresse in one of the valleys of the rugged Vosges mountains. Bike and hiking paths lead you by the most wonderful spots. All around the chalet you have a large garden. You could follow the Route des Crêtes, along the Roche du Diable (15 km), the Col de La Schlucht (18 km) and the recreational lake of Longemer (20 km). At La Bresse Hohneck (5 km) there is a large bike park. At the Glacier lake Gérardmer (14 km) you will see the sources of lots of mountain streams and waterfalls. At these beaches you can swim, sail, surf or participate in other watersports. Bakery, supermarket, bike rental, post office and restaurants are in La Bresse (2 km). Golf course at 4 km. Do save a day for a visit to Epinal (54 km), famed for its childrens cartoons. What about a daytrip to the medieval town of Rémiremont (35 km), the popular theatre of Bussang (28 km) or the eco museum comprising old arts and crafts, flora and fauna in Ungersheim (8 km)? Also visit the beautiful town of Colmar (50 km) with its authentic half timbered houses and lovely terraces.